From its very first frame, the Star Wars series created a compelling universe, with complex characters and engaging storytelling. 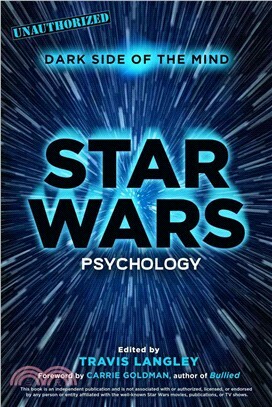 In advance of the highly anticipated new movie,Star Wars: Episode VII - The Force Awakens, this essay collection offers a fascinating and unauthorized psychological analysis of every aspect of George Lucas's richly rendered world. A group of expert contributors, edited by Travis Langley, examines such topics as family ties, Jedi qualities, masculinity, girl power, and the values embodied in both the "dark" and "light" sides of these always-spellbinding films. Travis Langley (Arkadelphia, Arkansas) is a professor of psychology and the author ofBatman and Psychology: A Dark and Stormy Knight (Wiley, 2012). He’s a regular speaker on the subjects of heroism and pop culture at psychology conferences and fan conventions alike, including San Diego Comic Con, New York Comic Con, and the Comics Art Conference. He writes an online column “Beyond Heroes and Villains” for PsychologyToday.com.